What is the main purpose of the Cigar Dojo app and who is it for? Cigar Dojo was created for cigar smokers and those into the hobby of smoking and collecting premium cigars from all over the world. 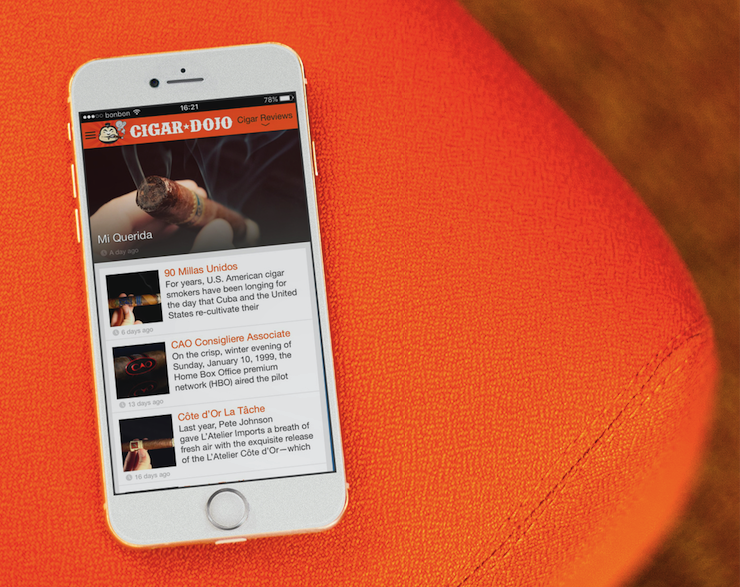 With the Dojo app, cigar smokers can ask each other questions and share their thoughts on the cigars they are smoking. What kind of impact did the application have on the community? Cigar Dojo has become the most robust cigar community on earth. The Dojo is known all over the world to smokers. What was the greatest challenge with the app and how did you solve it? 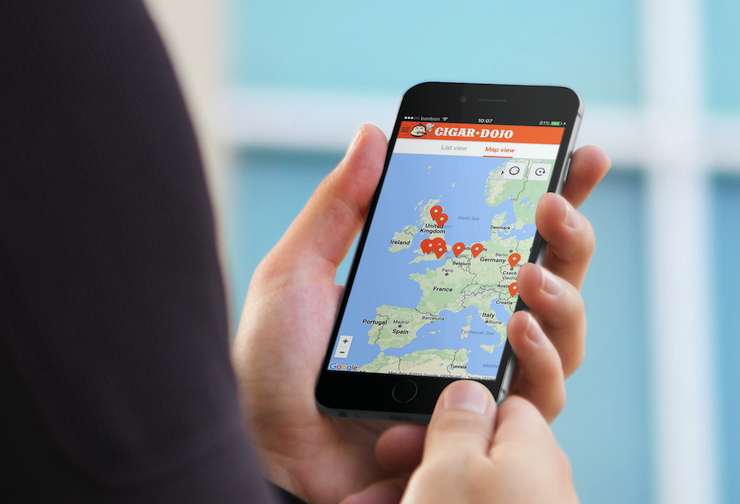 Our challenge was to introduce the cigar world to a mobile app (at the time none existed). Cigar smoking is typically popular among older folks and, therefore, many of them were not ready for a smartphone app such as the Dojo. However, the Shoutem platform helped us to create an app that is so simple to use that even older “old-school” folks found it easy and fun to use. How do you promote your app? Do you invest in paid advertising? We have done some minor paid advertising but the main way we promote our app is via our website, which is one of the most respected and popular cigar websites on the planet. We also use our other social media channels, such as Facebook and Twitter, to promote our app. How did you monetize your app? Do you have any advice for other app owners? We monetize our app via advertising agreements with cigar companies. We provide a great deal of exposure to a very targeted audience for our advertising partners. Which feature in the app has the biggest value to your users? The social timeline is where we have the most impact with our community. Cigar Dojo has become the Facebook or Twitter for cigar smokers all over the world. From which feature in the app do you benefit the most? The integration of the MoPub banners is the feature that allows us to have a functioning business. We generate revenue via advertising, our advertising partners gain targeted traffic, and our users get to see advertisements and promotions that are of interest to them. Everyone wins. What’s next for Cigar Dojo? What plans and goals do you want to achieve in the near future? We plan to continue to grow our community and continue to add and integrate new features that are of value to our members. How easy was it for you to make and maintain the app using Shoutem? Starting our app with Shoutem was extremely easy. The updates along the way have provided some bumps but nothing that we could not overcome. Without the Shoutem app, we would not be one of the most well-known media brands in the cigar industry. 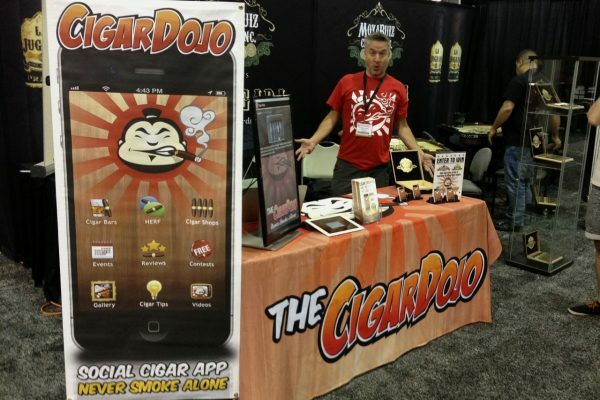 You can download Cigar Dojo app from both App Store or Google Play Store.